As implied in the first line of our last post, there are also at least two species of turtles that call Nantucket home that are not native to the island. Non-native species are those that are not naturally part of a local biota and these turtles were either intentionally released here or are escaped pets. Red-eared sliders are native to the south and midwestern United States and are distinguished by the large red markings behind the eyes. They are apparently extremely adaptable to new environments as populations of these turtles are popping up outside of their native range all over the United States and in other countries. These populations are likely due to the fact that red-eared sliders are one of the most popular turtle species in the pet trade. While tiny baby turtles are exceptionally cute, they make terrible pets for kids. They can transmit diseases such as Salmonella, they grow quite large requiring space for big tanks, and can be quite aggressive. Likely the biggest problem for pet owners though is their longevity. 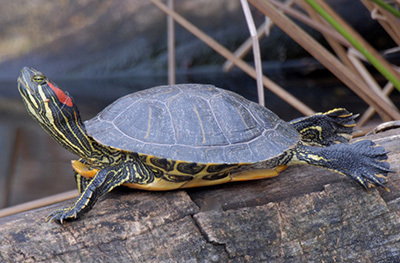 Red-eared sliders are very long-lived, up to 30 years. What often happens when these turtles have overstayed their welcome in someone’s home? They are simply released into a nearby pond. Thriving slider populations exist all over the state of Massachusetts and now they are turning up on Island as well. If you see either of these species on Nantucket, we would really like to know about it ASAP! Please contact Danielle O’Dell who is the chairperson for the Nantucket Biodiversity Initiative‘s non-native animal committee. You can also call her at the conservation foundation office at (508) 228-2884. She will do her best to find a home for the turtle. Why are non-native species a problem? First and foremost, don’t release a household pet of any sort in to the wild. If you’re having trouble caring for your pet, try to find a new home. Contact local pet shops, pet food stores, animal hospitals, the Maria Mitchell Science Library or the conservation foundation to see if anyone can offer you help. Second, setting your turtle free can be dangerous or deadly to the animal as they struggle to find habitat, food and a safe place to survive the winter. Third, even if your pet appears perfectly healthy, they often harbor diseases that can be problematic for native turtles. Disease can spread quickly and easily if your pet comes in contact with native turtles. In fact, fatal respiratory infections are very common in desert tortoises in the desert southwest and now they are beginning to appear in spotted turtle populations on the east coast as well. Last, particularly in the case of the aggressive red-eared sliders, non-native species can often out-compete and displace native species. Nantucket has unique and healthy populations of turtles, let’s work to keep it that way! 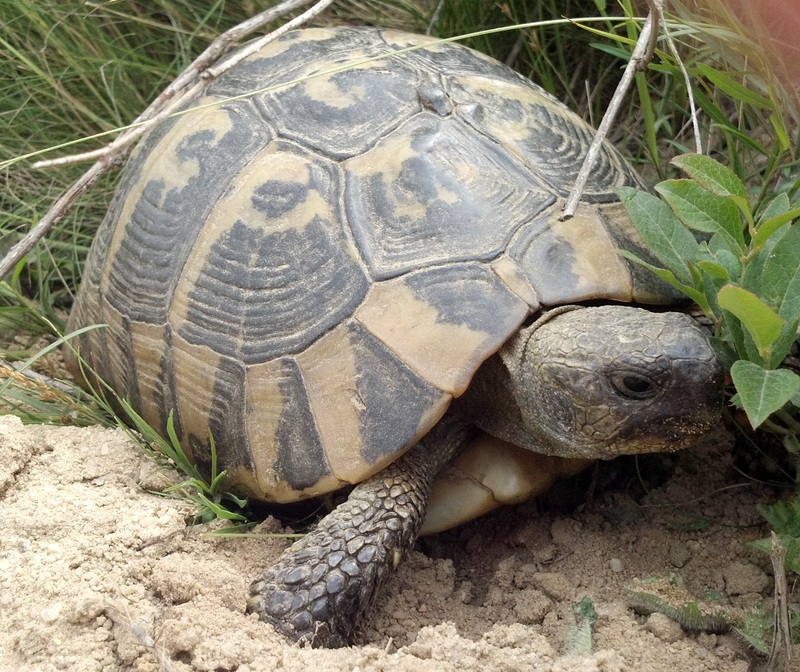 This entry was posted in Uncategorized and tagged invasive species, Nantucket, turtles. Bookmark the permalink.